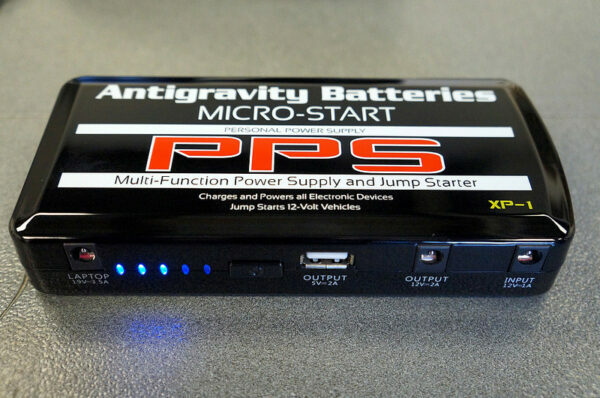 4 Micro Start XP-1 – World smallest Jump Starter in action! 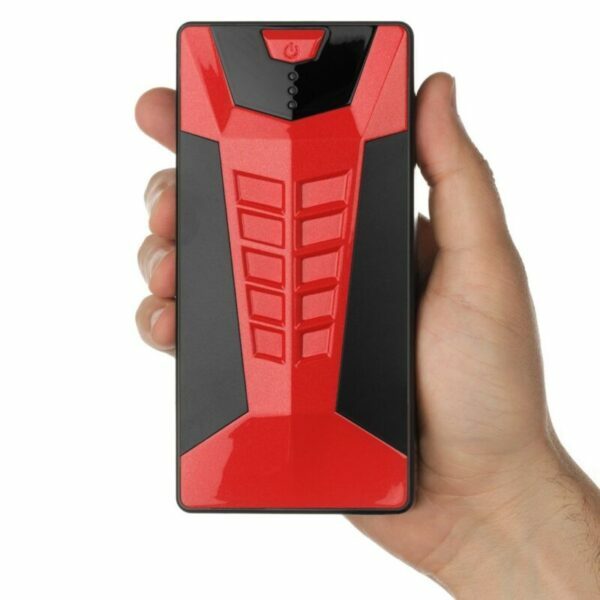 This portable jump starter and power bank is the size of a Smartphone and weights only 14 ounces but yet contains enough power to jump-start a car and to recharge your cell phone several times. Quite impressive you have to admit! 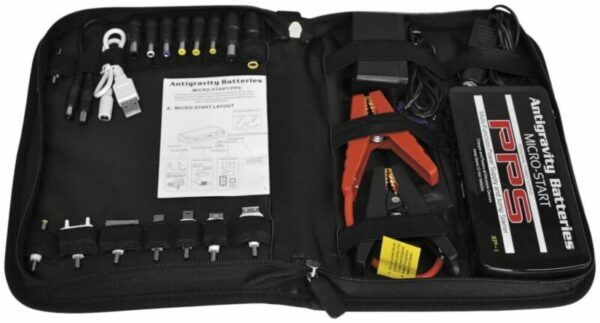 We all have used and still use these massive jump starters to help us in emergency situations when the car battery is dead. It is quite a relief knowing that there is a proper replacement who meets all your needs and it can fit your back pocket. 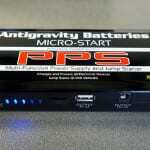 Micro Start XP-1 is almost the same product as previously reviewed PBJS12000R. The main difference is that XP-1 has an option to recharge a Laptop what is not case with PBJS12000R. One Universal Cable (black) with eight different detachable tips used to fit almost any Laptop device on market (Acer, Dell, HP, and more) Note: It can’t be used to recharge 16V Apple laptops! One Universal Cable for all 12V devices such as Mobile DVD players, or any other who use 12v source of power. As we earlier mentioned the device itself is very light and the size of a Smartphone. Micro Start XP-1 is thin enough to fit back pocket what makes it easy to handle and store. On the front side of the unit, there is an input for detachable jumper clamps and a bright flashlight. As you turn it on by pressing and holding the power button for a couple of seconds you will notice how bright is. It has 3 operating modes (solid light, SOS flash, and emergency strobe). We found this very useful as we know how unpleasant can it be if you are stuck somewhere on road in the middle of the night and you need help for any kind of reason. On the side there is a 12v input used to recharge Micro Start XP-1 unit are several outputs such as 5v USB 2A used to recharge any device using this voltage; 19v output used for laptops; 12v 8A output for any device who uses this kind of output such as Mobile DVD players. Besides these outputs and input, there is a power button and 5 LED indicator lamps showing how much juice do you have inside the unit. As you get it is almost fully charged, but we suggest you put it on a charger until it is full in order to get the best from this mini jump starter. So, that is basically it when we talk about its appearance. We can just say it is really compact, ergonomic and simple device easy to handle what is definitely what you need from this kind of device. 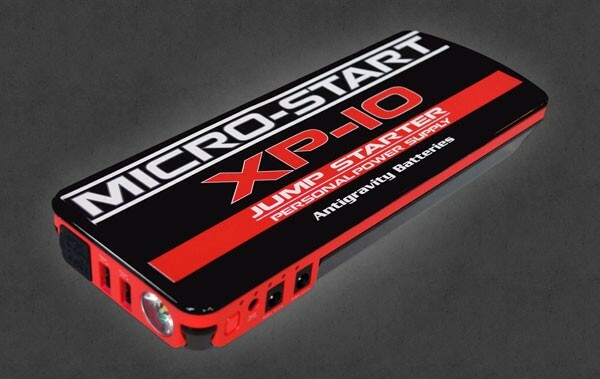 Micro Start XP-1 – World smallest Jump Starter in action! Inside of XP-1 there is lithium-ion battery containing 12.000 milliamps of capacity and jump start power of 400 peak amps. What this actually means is that it can recharge your smartphone up to 5, 6 times in a single charge or when we speak about jumping a car it can jump start up to V8 gasoline engines. Manufacturer recommends Micro Start XP-10 for diesel engines as they require much more cranking amps to start the dead 12v battery. As in our previous reviews, we tested it on 3.5l V6 engine. It is important and makes sure you know how to jump start a car in order to prevent unpleasant situations to happen. Most of the unsuccessful attempts happen just because people use to ignore or don’t read users guide provided within the device. The device is quite easy to handle even for those who are not so familiar with this kind of technology. You have to plug-in jumper clamps and make sure it is fully charged before the attempt. It is easy to keep it charged because besides standard home charger it has a mobile charger for the car. Battery holds up to 6 months so be aware and not forget about that. This time we had disconnected cables from 12v battery and directly connected Micro Start XP-10 to the engine. Hooked up everything and fired engine. It worked as promised! No problems at all! This little thing proved to be a great mini jump starter. We tried a couple more times just to be sure it really works as advertised and we were very satisfied. Besides that it had enough juice to try who knows how many times but we decided to recharge a phone instead. And again, in this case as a power bank, Micro Start XP-1 did great job. 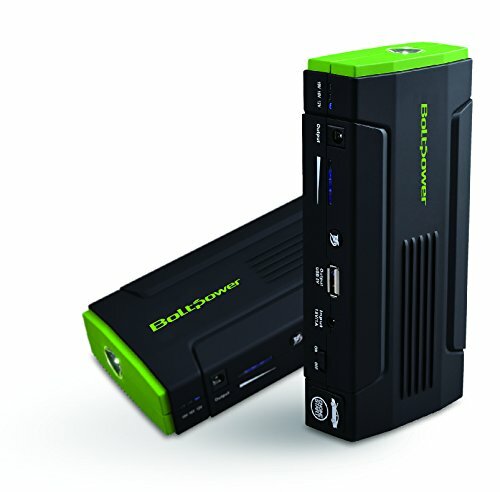 With 12.000 milliamps of capacity, this lithium-ion jump starter is a great device to have in your backpack when you go for camping or any other place where you need a power source. Make sure you have your Micro Start XP-1 fully charged and you won’t have a drain battery problem again. On the other hand with the power of 400 cranking amps, your 12v battery inside a car will be up and running even during cold winter days. Micro Start XP-1 is completely safe to use. The device is quite easy to handle even for those who are not so familiar with this kind of technology. Reverse polarity technology prevents sparkling and makes this device completely safe to use and even if you touch clamps nothing will happen. Also, the thing to notice is that you can leave this device on the charger and not wary about over-charging. The housing of this portable jump starter is made of hard plastic what makes it durable and hard to break even if you accidentally drop it during handling. 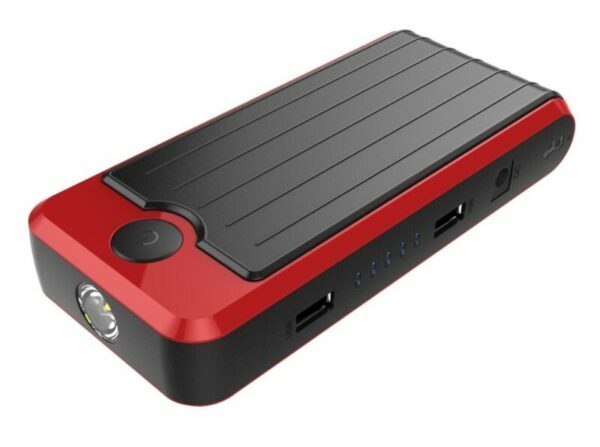 Even we have tested Micro Start XP-1 and it did a great job as jump starter and as a power bank still we did additional research of market to read what other customers say about this product. The truth is that Micro Start Xp-1 has a great rating! One of the best on market! In this part of our review, we will try to provide some useful information about this device in order to have better insight into this product and his features. As we already said it has a great rating on Amazon reaching 4,5 stars out of 5 and has more than 700 reviews. Really impressive statistic it is. 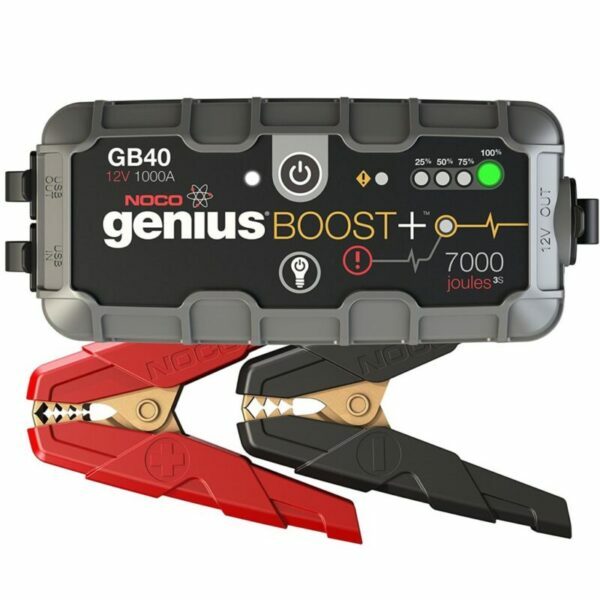 Customers use it as a power bank or as a jump starter and like how it works. Some of them complain by saying it can’t jump-start a car. There are many different reasons for this problem to happen. That is why we highly recommend you to carefully choose your jump starter who meets all your needs. If manufacturer climes that jump starter in not recommended to be used to jump-start heavy duty machines or diesel engines than there is no reason to buy that product if you need it for that purpose. Also, a thing to notice is that a few of them reported battery swelling. Not sure what could be the issue but with 3-year warranty you can complain to the manufacturer and charge a refund or a new device. It won’t be a problem. Here are some of these reviews and opinions. At the end of this overall review, we can say that Micro Start XP-1 is a defiantly amazing product. 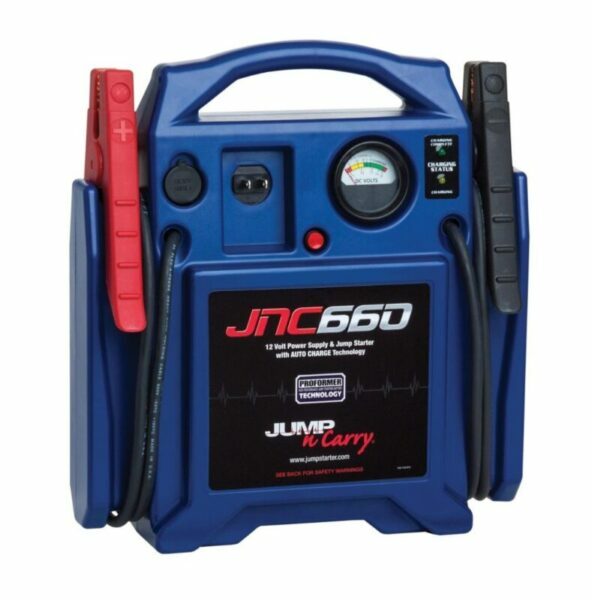 It has been tested as a jump starter on our 3.5l V6 truck and worked great. Also as a power bank for a Laptop and iPhone, it worked like a charm! 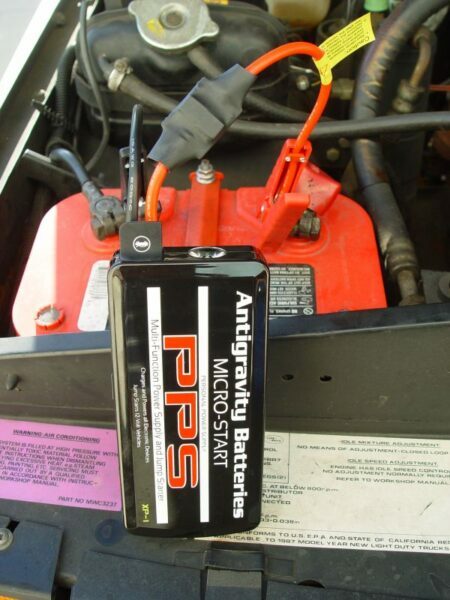 Have it in your backpack when you go for a road trip or camping to prevent all drained battery problems. What we liked especially are their size and weight. It is so tiny it can easily fit under a motorcycle seat or in the glove box in your car. It is safe to use as it is built on advanced Reverse polarity technology. It is made in the USA and you get a 3-year warranty on this product. With Micro Start XP-1 you don’t have to worry about drained battery anymore. Have it in your car for emergency situations or in your backpack as you go hiking and mind about something else but the battery.